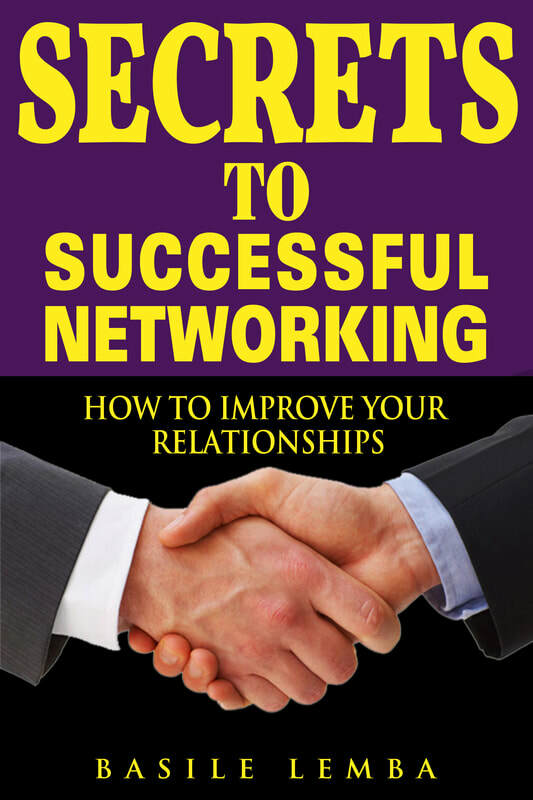 For well over a decade now, people have been asking me constantly to write a book on Networking. This is likely because they know I have a rather large networking organization that hosts a monthly networking event. I always pushed back as I did not think that such a book was needed. Wrongly, I assumed that it must be already out there since anytime I walked into a bookstore or library, I would see Networking books literally wall-to-wall. In addition, there are a lot of Networking Events taking place in the area we live in, so much so that one could, in fact, make attending networking events a full-time activity (and this is no joke). However, one day, it snowed, and it snowed so much that people were asked to stay in their homes, unless they had a total emergency. I was working at home and decided to take a little break from the work I was doing, so I turned the TV on. What I saw was a program on “Royalty”. A reporter came on the screen and said the following: “There are 2 things that royals are taught at birth. # 1 ________ and # 2 __________. They are taught these 2 things as soon as they are born, before they learn how crawl, before they go to school." That idea caught all my attention then and, for a while there, I literally couldn’t stop thinking about it. “’Why were these taught to royalties as the single most important things?" I thought to myself. "Then they must be valuable"
"But what would the impact and significance of these 2 rules?" Then I realized that these were in fact the cardinal rules of Networking. I got SO excited that I decided right then and there to do a presentation on “Networking” at our Breakfast Club. In preparation for this presentation, I looked up the definition of “Networking” in the dictionary only to find that it is not sutiable. Then the light bulb went on. I finally understood why people kept coming to me over the years, asking for a "Networking Book". No one ever asked me to write a book on “driving a car” or anything else, but that is because they already have the know-how for it. However when it comes to Networking, the base of it all– the foundation– it's very definition, is “shaky” at best. If the culture as a whole did not have a correct and suitable definition of Networking, how could it have a suitable practice of it? The logical answer is that it simply couldn't. The proof is their clamoring for a book on Networking literally since we opened the doors! As a side note, when we promoted that presentation mentioning the release of the "Cardinal Rules of Networking", the attendance of that event tripled and it remains until today, the highest attendance on record. No one said it better than Allan Bloom when he wrote "Education is the movement from darkness to light." Having in hands the Cardinal Rules of Networking, it was a rather easy job to develop a suitable definition, the basic principles of Networking in detail and make it a full-fledged, organized system of thought and practice, in other word, a subject anyone can learn and use. All an individual has to do is to study it, ensuring that no single word or symbol is left misunderstood, and that person will obtain a clear understanding of the subject. The book will be available for sale soon. Pre-orders for any specific quantity needed can be submitted by contacting Basile by phone at 703-359-5642/571-263-4190 or by e-mail at basile@basilelemba.net.